M&C Motorcycle Training is an established family run Motorcycle Training School. M&C Training cover Waterlooville, Cowplain, Emsworth, Havant, Portsmouth & Chichester. We pride ourselves on the personal touch with quality instruction offered by all of our staff with over 130 combined years of riding experience. Our staff show patience and understanding adapting teaching methods to tailor individual different learning needs. We are experienced training delivery experts, in a varied field of skills. All prices include motorcycles safety clothing helmets and gloves, all test fees (unfortunately not retest fees). M&C Motorcycle Training offer Compulsory Basic Training as well as A1, A2 Direct Access Scheme. Refresher Training and Back to Biking. 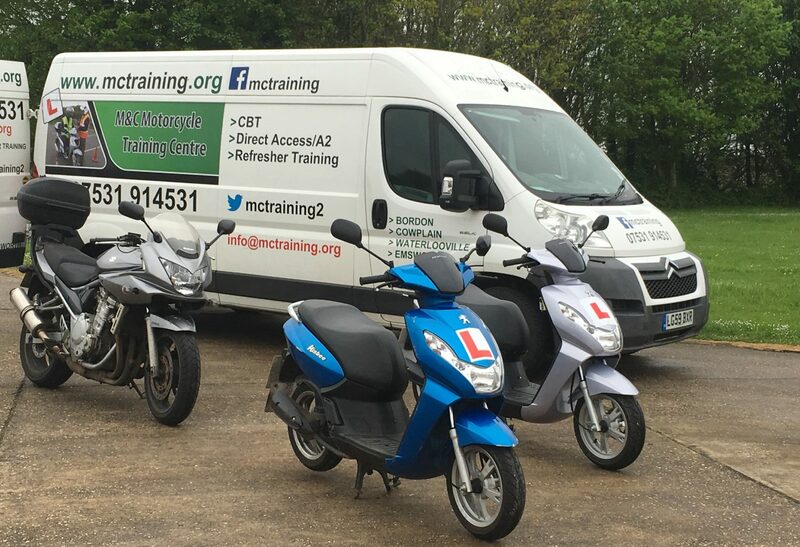 We use Modern bikes with good communications equipment, one to one training is available for CBT’s on request for an additional fee. Competitively priced quality bespoke service.